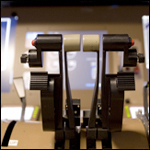 An advanced tool of the Flight Deck Display Research Laboratory (FDDRL) is the fixed-base Boeing 777 cockpit simulator. 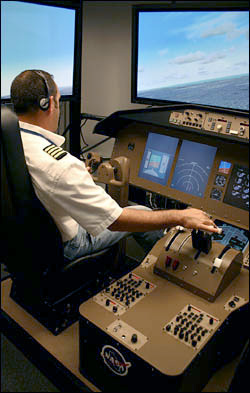 The medium fidelity simulator provides a low-cost, realistic cockpit environment for a crew of two. 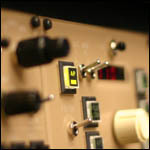 It provides a configurable platform to host FDDRL-developed technologies, such as the Cockpit Situation Display (CSD) and synthetic speech with spatialized audio alerting. 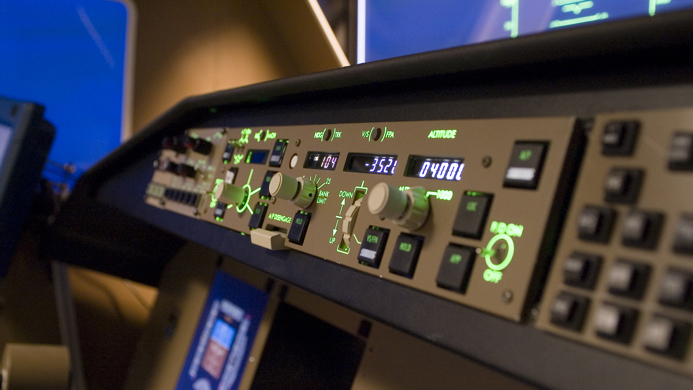 The flight model and flight management system (FMS) for the simulator are provided by the Ames Multi-Aircraft Control System (MACS) system. The flight state and control inputs are passed between MACS and the simulator via a shared memory area, and distributed to the simulator components over a high-speed local area network. 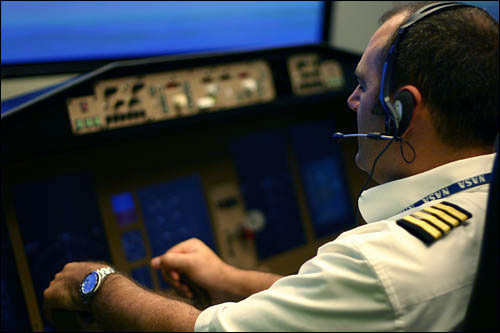 Utilizing MACS allows the 777 simulator to be seamlessly integrated into the same simulated environment as the other FDDRL desktop pilot and controller stations. 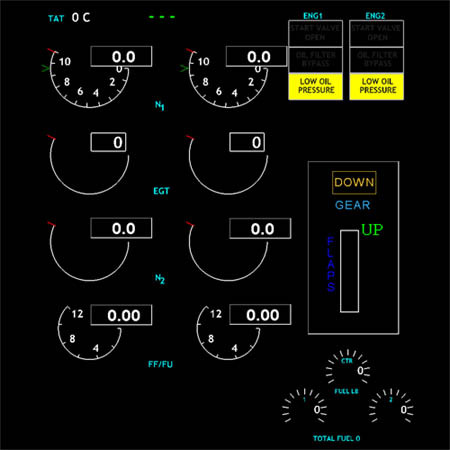 The advanced features of the FDDRL displays, that allow, for example, graphical manipulation of the flight plan, are tightly coupled to the FMS, providing a test bed for experimentation and evaluation of the pilot-oriented components of next-generation air traffic management concepts and technologies. 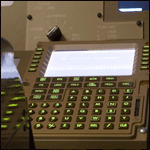 The 777 is a "glass cockpit" aircraft, meaning that the instruments: Primary Flight Display (PFD), Navigation Display (ND), Engine Indication and Crew Alerting System (EICAS) and Control Display Units (CDU), are electronic. 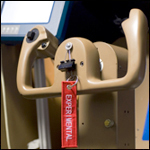 The simulator implements these with software programs, emulating the aircraft instruments and driving high-resolution LCD displays. 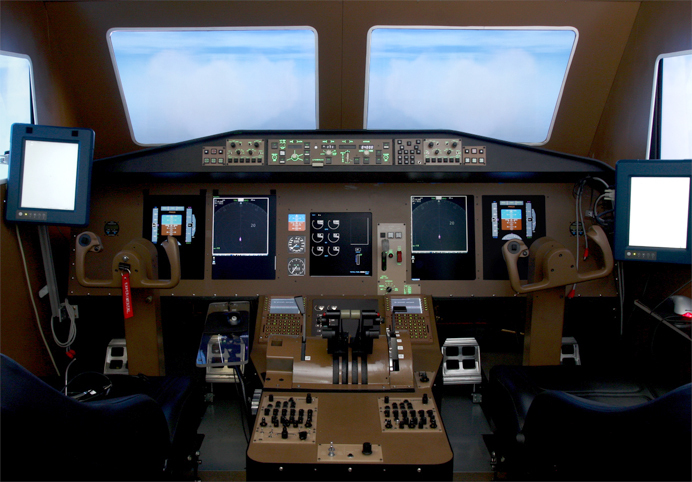 The visual system for the pilot's out-the-window view consists of four 52-inch plasma monitors, with two mounted forward of the cab and one each for the right and left views. 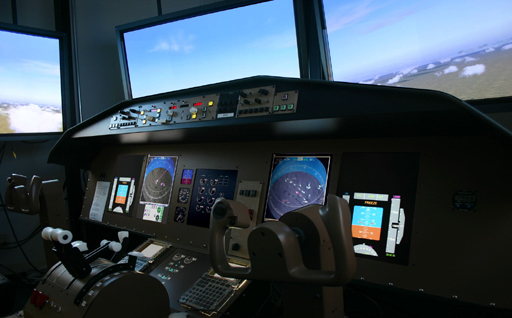 Each monitor is driven by a computer containing a hardware-accelerated graphics card, and a separate instance of Microsoft Flight Simulator X (FSX). FSX provides an inexpensive, yet high quality 3D immersive environment, with dynamic weather effects, global terrain textures, and pre-built aircraft models with tailorable company liveries. The out-the-window view is controlled by FDDRL software using the Microsoft SimConnect API to add real-time weather and aircraft traffic, consistent with other cockpit and ground displays, such as weather radar and CSDs. Weather Avoidance in Transitional Environs by Re-routing to Secure Higher Effective Density (WATERSHED). Separation Assurance with FANS-1A based Automation for Resolution Implementations (SAFARI). 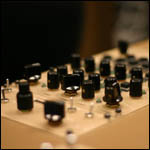 The Audio Twitter Trajectory Operations with Merging and Spacing (ATTOMS). 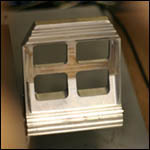 Situation Awareness in Trajectory Oriented Operations with Weather (SAWTOOth).